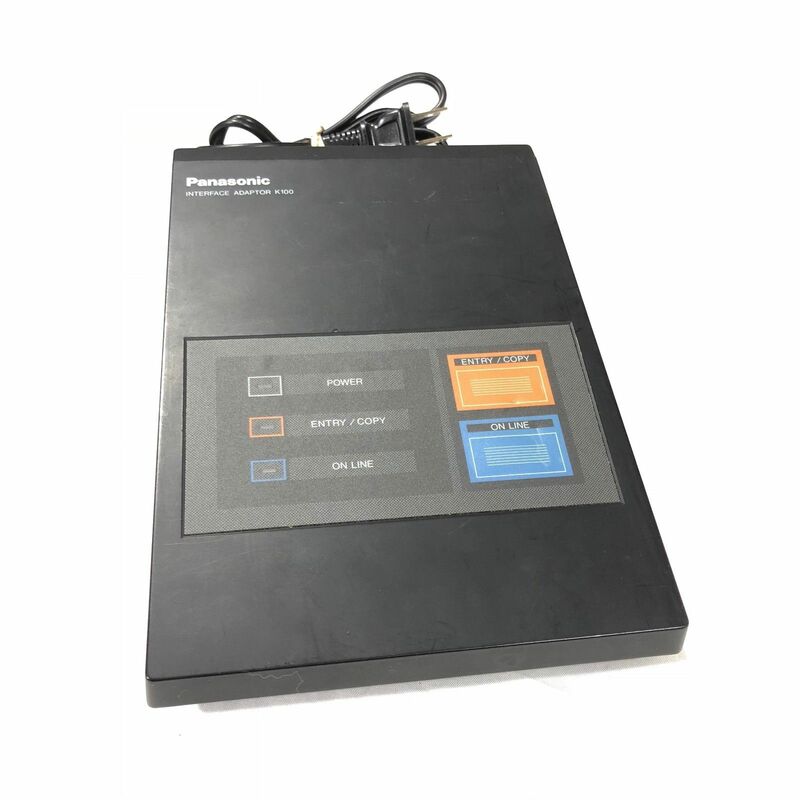 I have a Panasonic "Penwriter" model RK-P400C electronic typewriter/plotter from circa 1985 I'd like to be able to connect to a modern PC. And hopefully even use to draw graphics! Bought in almost new condition from eBay in its original packaging, it looked basically unused, with all the original pens. Which still work fine after probably 30 years sitting in a box. I don't think this was ever a big seller in the United States where I'm located, the pen-plotter gimmick may have been originally designed as a way to draw higher-quality Japanese characters prior to injket/laser printers being commonly available to consumers. I can find limited information about it online except some mediocre reviews in a couple archived PC mags from the mid 1980s and a brief mention in the "Rainbow" Tandy CoCo newsletter from around the same time. I'm having difficulty even finding a PDF format scan of the owner's manual. It has an RS-232 interface on the side on a female DB-25 connector so it can be connected to a PC or computer of some kind, but I haven't had any success getting it to print characters from Linux (Xubuntu 17.10), via either the "screen" command and attempting to directly connect to it at 300 baud over an FTDI chip-based USB to serial cable, or configuring it as a generic "IBM compatible" serial printer in the printer setup utility. I've heard from a knowledgeable source that it likely uses a variant of the ALPS/Tandy plotter engine CGP-115 also used in the Atari 1020 pen plotter from around the same time, but that's all the intel they had on it. It has a switch labeled "KBI, KBII, EXT" and when "EXT" is selected the display says "OFF LINE." pressing the key below labeled "ON LINE" changes the display to "ON LINE." I've made all the attempts at communication in that mode as intuitively that seems like what you'd want but there's no response. 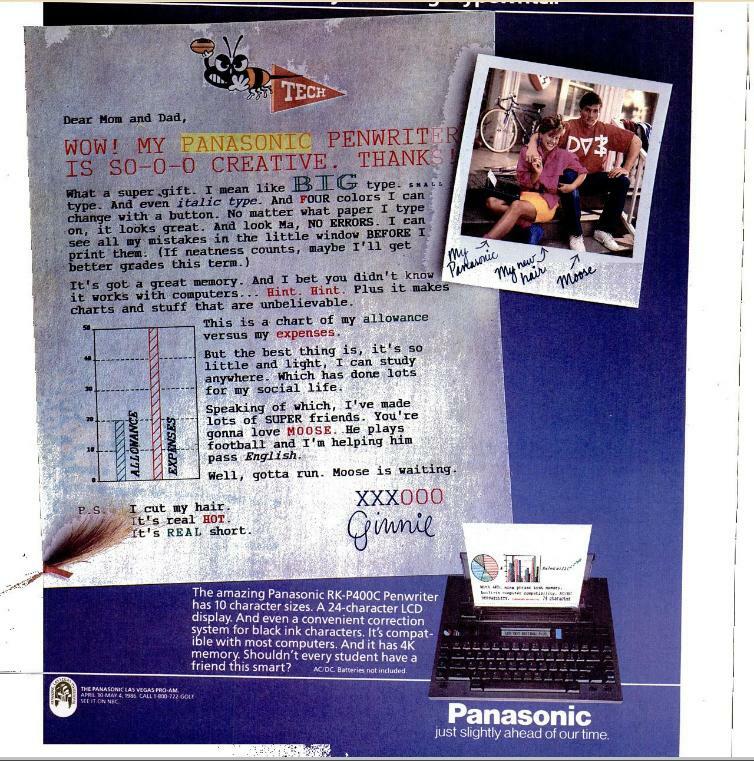 Here's an ad for the Penwriter from Spin magazine, December of 1985. Wow. The model I have is the RK-P400C, the "flagship" model (or perhaps just a later variant.) This one has some of the same controls as the interface box "On Line", etc. integrated into its keyboard and so I'm guessing it's like the RK-P200C but with the RP-K100 features built-in, perhaps. 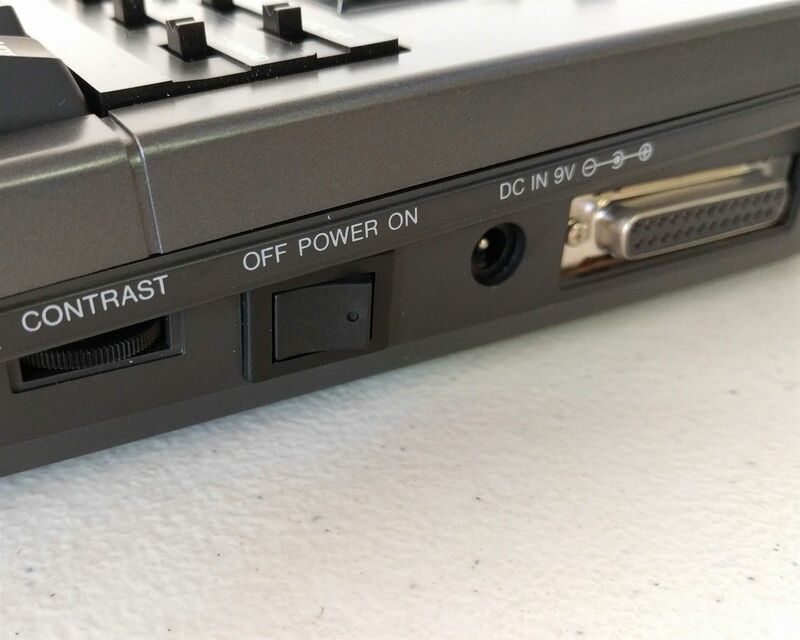 And that the 25 pin connector may just be a regular PC printer/parallel port, not RS-232 on a 25 pin connector as I thought originally, which could certainly explain why it's not responding that way. It's not labeled on the typewriter in any way and has no "sheet of paper" glyph which may have become common later, so what it was was just a guess and I may have guessed wrong. The DB25 connector on the right side is a 25 pin serial port. At the top right of the typewriter there are sets of switches to select font and size, at the far right of those are two switches with the labels "KBI, KBII, EXT" and "DP, LL, COMMAND". For printing from the serial port set the first to "EXT" and the second to "DP" (direct print) mode. When the switch is flipped to "EXT" the display will show "OFF LINE." On this screen by pressing return on the typewriter keyboard it will show the baud rate, parity, and line feed settings. Pressing space when a given setting is on the screen will adjust it. The possible baud rates are 110, 150, 300, 600, 1200, and 2400, with the choice of either 8 bit no parity or 7 bit even parity. A USB to 25 pin serial port adapter with an FTDI chipset works fine for me, but it seems to require a crossover-type cable or null modem adapter cable. No hardware flow control or software flow control enabled. Toggle the blue "ON LINE" key at the bottom right of the typewriter keyboard and it's ready to receive commands/ASCII characters. That's it for now, I haven't had a chance to experiment with the graphics commands yet but this should print plaintext OK.
Not the answer you're looking for? Browse other questions tagged hardware serial old-hardware-adaptation usb printer or ask your own question.